Hello botters! You can now dismiss randoms with the latest RSPeer release. A genie solver has also been added. 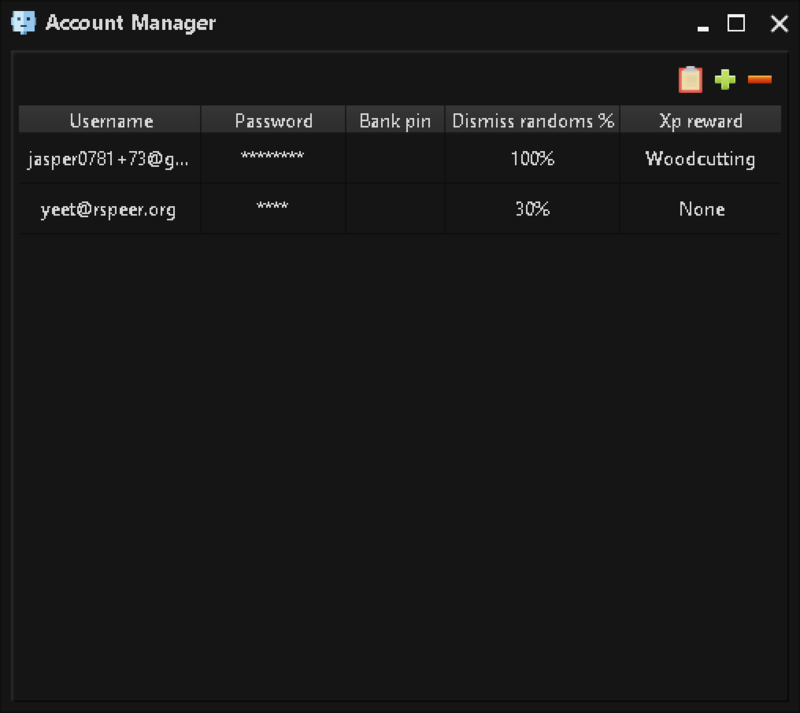 Here you can enter an accounts details as before and now also set a percentage for dismiss randoms and set your preferred xp reward. This value is used to determine how often you would like to ignore randoms and how often you would like to dismiss them for this specific account. Setting this percentage to 0 means you never want to dismiss randoms and always want to ignore them; setting this percentage to 100 means you always want to dismiss randoms and never want to ignore them. Any value between the range means you will sometimes ignore them and sometimes dismiss them. This is a combo box that you can select your preferred xp reward in. The options are: None, Random and every single skill. Selecting none will disable this feature and means the genie will simply either be ignored or dismissed depending on the Dismiss Randoms % setting. How do I change these settings using the JSon startup options? 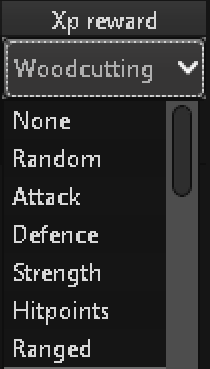 This is something that is not currently available, should be added in the next revision! Share a picture of your account setup? For the setup, I had just put a username, 100% dismiss rate and a skill for the reward. Only set one account/row. Before, I had clicked the 'Add current logged in account' and it didn't do anything but it seems to be working now so it might be fixed. I've been having the same issue as @danm3062 , even though I select farming as the desired xp and dismiss rate to 100% it ignores genies and all randoms. Is it required to do a quick launch or something for it to work? Are you sure you are selecting your account when starting the script? @Yasper I was not! This whole time I was manually logging in, and selecting the script afterwards. That makes much more sense now. @Jagexwillburn Yeah I had the same problem, I feel dumb but didn't notice it there lol. Thought it would automatically run but makes sense youd have to pick the account. @Jagexwillburn @danm3062 Should perhaps make it save your last selected account when running a script because I understand you might forget setting it? Yeah, this will hopefully be out next revision. @Yasper Yeah that would be helpful. Maybe let us select a 'default' profile.